Today is the last day of the month, as October 31 marks as the Halloween celebration and tomorrow November 1 as All Saints Day. I have not been very busy for the past few days, only for some of the usual things that I do as most of the time I spend alone, in my room with my laptop connected to the internet and make some recordings for my cover songs that pave the away to my vacant time. Being alone is the best time for reflection, the best time to figure out how to solve problems as some of these solutions are given by our Higher Self. While in my room, it also made me think of the life experiences I have grasped along way, particularly this year when I first encountered my awakening. I am just a bit curious about the purpose of my awakening although the answer is no-brainer at all to those who are already spiritually enlightened. As I was always into reflection, it brings back the memories in me spending time to travel and one of those experiences I had was during the Holy Week last April 2012 witnessing the Senakulo or Moriones Festival in Marinduque Island. 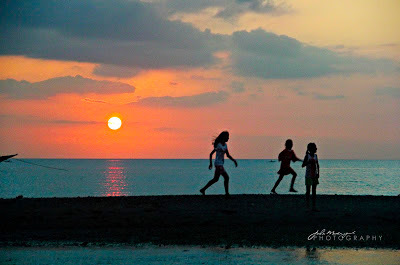 Visiting Marinduque was no longer new to me as part of my descendants are from this island. In fact it reminds me about my whole family visiting this place during Holy Week and Mayflower festivities. We used to have a house there and later on it was sold to one of our relatives living in Boac. My reflection in Marinduque had given me so much enlightenment. That time I was also focused in photography particularly in that event and some of my landscape and sunset shots in Gasan, Marinduque. It helped me though to relieve me from my emotional distress as well as the physical pain I have gotten from my awakening; We know that this is not an easy process to be with but I believe that I can see light at the end of the tunnel. But I do understand that somehow my feelings like this was still part of my awakening. And I know someone up there would be willing to reach out unconditionally. Someone who is an angel in my life who is in human form. 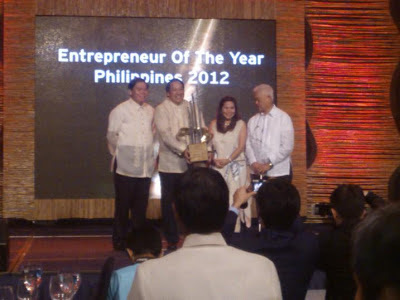 One of the sponsors in the recently concluded Ernst and Young Entrepreneur of the Year Award 2012 held at Rizal Ballroom, Shangri-La Hotel Makati was Cordillera Coffee owned by Mary Grace Arboleda-Young. We were on the same table as the dinner was served with coffee. She invited me to watch the awards night and it was a great opportunity to witness once again a truly inspiring moments for the entrepreneurs. Last year, she participated at the Coffee Origins held in Greenbelt 5, Ayala Mall in Makati where she gave me 3 pieces of Kape Musang in the said event. I wrote about her coffee business and the awards night last year. I still have one Kape Musang left and Gae said that I can still consume it even though I kept it for so long. The coffee was in my table that I even forgot to consume it. 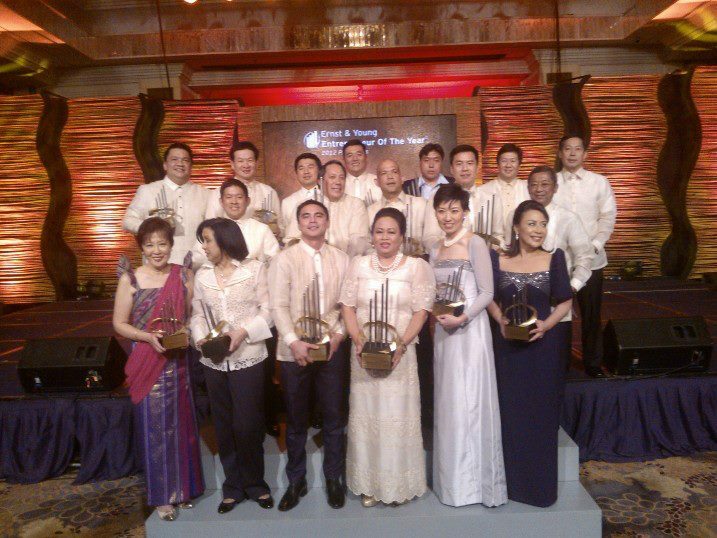 Last Thursday, October 18, 2012, I was invited to watch the Entrepreneur of the Year Awards Night 2012 in Makati Shangri-La Hotel. This was my second time around to attend such an inspiring event. This year's theme was all about "Passion" and the winner was Jaime Ayala of Hybrid Social Solutions. Prior to the main award, he was already adjudged as Social Entrepreneur. One of the recipient of the award was actor Marvin Agustin named as the Young Entrepreneur. I was seated with Grace Young, owner of Cordillera Coffee and she was also the sponsor of the coffee in the said event. Gae was a Social Entrepreneur of the year in 2009. Singer and recording artist Rachel Alejandro graced the event with her popular songs. The event came through almost midnight. I was really in shape during the event and could not feel exhausted in the entire night. It can't be denied that one thing for sure, the ultimate experience I had last summer was my trip from Biri Island, Northern Samar. I took the initiative by taking a bus ride in Cubao Araneta bus station going to Sorsogon City. It was a 12-hour drive to reach the destination, then I proceeded to Matnog, Sorsogon where the ferry boat ride to Allen was located. It was an hour ferry ride to Allen, Northern Samar. Allen is a small town, there's not really much to see there except for some resorts, so I spent an overnight stay in the resort but there was no internet connection, even when you have an internet prepaid card, you can be connected but the internet was pretty slow that you could hardly open your Facebook account and upload some photos. There was no choice but to go to the port where you can find an internet shop there. You have to ride a tricycle for ten to fifteen minutes that would take you to the port. Proceeding to Leveriza is the only way to Biri Island where you have to ride a "banka" but you need to wait patiently until the boat is full. Your choice is to rent a boat at a cost of 500 pesos one way, a 45-minute boat ride to Biri Island. I stayed in Villa Amor Resort at a minimal fee and it was a blissful experience to see the rock formation in the island where you had to cross the water for 30 minutes before you reach this rock. Need to be extra careful as the water reaches your chest when it is high tide. I had an injury in my foot then, because of slippery steps while pacing to the rock formation. When you've reached and climbed the rock, it was pretty a magical experience. Going home was a disaster. I took a second rate aircon bus coming from Ormoc with the ferry, when I reached back to Matnog, Sorsogon that would leave the port immediately. Upon reaching the Pasay terminal, the operator wanted us to transfer to another bus but hearing the passengers who came mostly from Ormoc, as they complained about the transfer, I stood before them and I got mad that I wanted to talk to the manager, defending that we would ride the same bus coming from the province and that we would never transfer. I demanded and withstand what was right. So in the end, the operator gave up. The passengers were thanking me because of standing with them from their complaints..